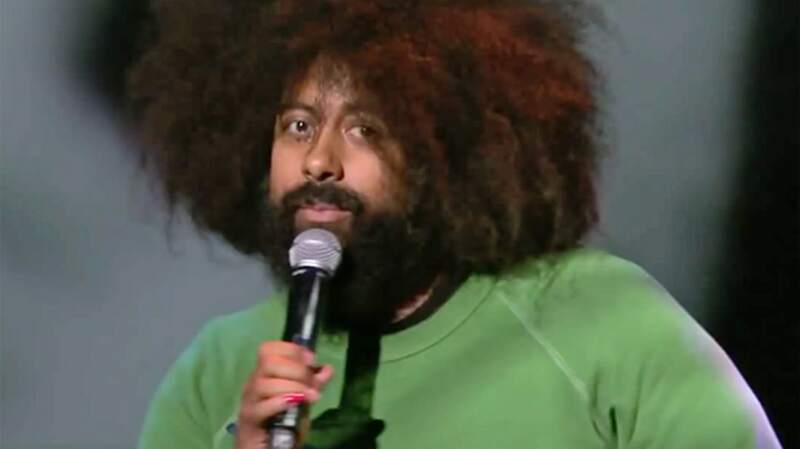 Reggie Watts is a performance artist, musician, standup comic, dancer, you name it. I've only seen him live one time, during a live Radiolab and he stole the show. In the TED Talk below, he inhabits a series of characters, some of whom are in the process of giving bogus TED Talks. He also does a few musical numbers. It is entirely nonsense, in the best possible way, and the most delightful part is listening to the audience chuckle as they begin to realize what's going on. This is a great example of polarizing humor—I think you have to love or hate it. Sample quote: (British accent) "Four years ago, I worked with a few people at the Brookings Institute and I arrived at a conclusion: Tomorrow is another day. Not just any day, but it is a day. It will get here, there's no question. And the important thing to remember is that this simulation is a good one." Previous coverage of Reggie Watts on mental_floss: Reggie Watts, the Beat-boxing, Singing, Dancing Comedian. Also check out this Open Culture article about TEACH.